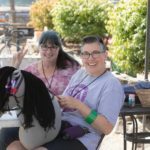 Kit Topaz is a Pacific Northwest native who adores animals and children. She is a life‐long horse lover. 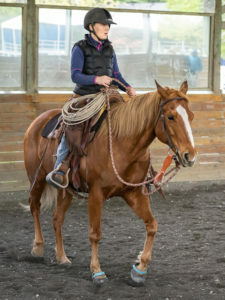 She has had many adventures in horse ownership and rescue work. As a young adult she volunteered for animal rescues in California, Oregon, and Washington. In 1997 Kit was a member of the United Animal Nations‐ Emergency Animal Rescue Service and provided rescue assistance during a major flood in Sacramento, CA. Kit got her start in nonprofit management when her children were young serving as vice president of fundraising for local preschools and PTAs. The PTA provided nonprofit management training and planted a seed which grew into a passion for helping nonprofits. 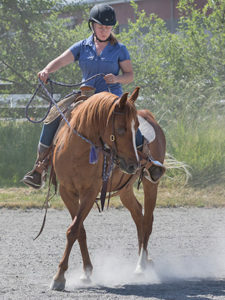 Kit started spending time at SAFE in 2015 because she missed horses and wanted to give back. Kit spent about a year working on a chore shift before she joined the SAFE Operations Council for a stint as Volunteer Coordinator. Kit has served as a shift lead and has filled in for our barn managers. 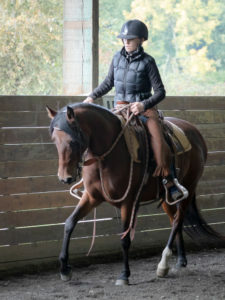 Thanks to her experience in the barn as well as on the Operations Council, Kit has an in‐depth understanding of what is at the heart of SAFE. 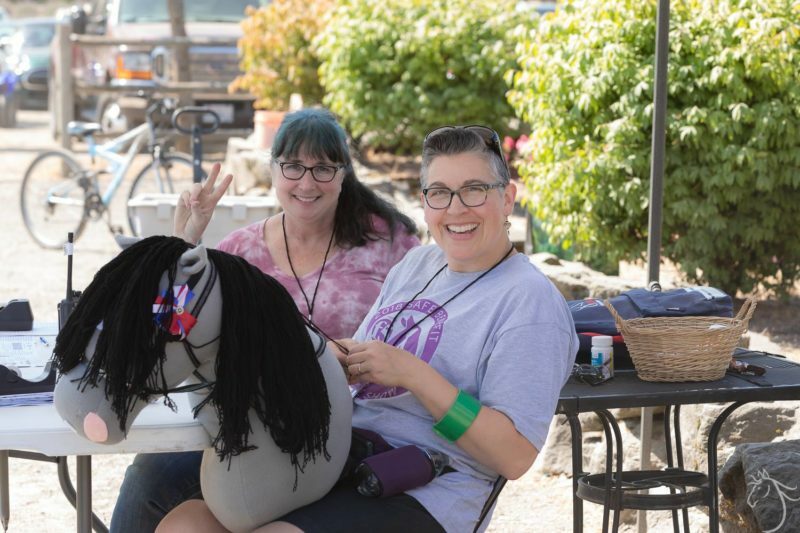 Kit is well connected with our volunteers and our horses. She joins the administrative team as our Development Manager to assist with our major fundraising campaigns. Kit is thrilled to be part of the SAFE family full time. Kit shares her Woodinville home with her husband of 19 years, Greg Meyer, and their teenage children Davis and Nadia. The Topaz‐Meyer family is currently owned by two Collie dogs and one large tabby cat.